Everyone has a decade they’ve lived through which they absolutely loved; a decade which offered both cultural and technological infrastructure that perfectly suited their own personality and lifestyle. Many people become so attached to a certain decade that they decide to abandon the inevitable progression of time in favour of living the rest of their lives in their idealistic decade. My mother’s decade is the 1980’s, complete with synth-laden dance music and obscenely long phone conversations. My own decade is the 2000’s, complete with emotional pop-punk ballads and a side-swept fringe. Singer/Songwriter Dave Yarwood’s decade is the 1990’s; his world is self-admittedly dominated by catchy vocal melodies, beefy power chords and t-shirts with hand-scrawled skateboarding hamburgers on them. After having material left over from a previous project, he recruited bassist Ross Gruet and drummer Jon Sebastian to record some 1990’s-inspired punk rock demos in Gruet’s basement under the name ‘Exit Mice’. After finishing the demoing process, the band deemed the recordings so satisfactory that they could be considered an official release. The resulting self-titled product showcases a trio of meticulous and adventurous musicians delivering their talents through a classic 90’s sound. One of the band’s biggest strengths is given away within the first bar of ‘Outta Here’; their musicianship and attention to detail is excellent. Yarwood’s tone on the opening guitar riff is well-rounded and beefy without being too distorted or woofy. This shows he’s clearly kept the three-piece lineup in mind when choosing his tone to fill out the mid-range as much as possible. This theme continues through the overall recording and production; each instrument has been well-recorded and it’s clear they’ve taken the time to get things right at the source. Particular praise goes to the instrumentation of the chorus in this track, introducing both backing vocals and a synth line for the first time. The use of these two commonly-overlooked secret weapons give the chorus a real lift and make the song sound larger than life. Yarwood also showcases some great lead work at the midway point of the track, playing some complex lead parts that are musically innovative without coming across as overbearing. This is quickly followed by a drop down to just bass and feedback guitar tracks. When contrasted with the full-on nature of the chorus, this shows some great dynamic variety from the band and continues to keep things interesting. ‘Cactus’ is a jubilant sounding slacker anthem that can’t help but evoke memories of high school drama and endless summer days. A catchy synth line takes the lead here, cementing itself as a signature element of the band’s sound and appeal. Particular praise goes to both Gruet and Sebastian for their musicality and arrangement on this track; both members work well together to allow the track to smoothly transition from section to section with well-chosen and varied fills. They both keep their parts interesting and adventurous without letting the needs of the song escape their attention. At this point I begin to wonder how the material would sound in a live setting. The synth element of their sound is one of their real defining qualities and would effectively fill out the mid-range they aren’t obtaining from a second guitarist. Whilst Yarwood currently handles synth duties live with the use of an effects pedal, I think they’d be even more convincing (both sonically and visually) if they employed a foot-operated MIDI synth and allocated the role to Gruet. This would help to visually balance the band’s live performances by distributing duties evenly across the band, whilst also giving them the option to play complete synth lines on a dedicated keyboard to serve the material the justice it deserves. ‘Split Brain’ takes us away from the slacker feel with a fast-paced, classic punk vibe. The vocal production and delivery is slightly different here, showcasing a lo-fi and distorted quality as well as a more aggressive delivery. This suits the nature of the track well and continues to showcase the band’s meticulous emphasis on sourcing adequate tones. Gruet really takes the limelight, relentlessly driving the track forward with a busy bassline that serves as a great foundation to Yarwood’s scrappy power chord accompaniment. By this point, it’s clear that the band has an excellent sense of chemistry. They’re incredibly tight as a unit and they have a real knack of assessing the needs of each track before writing their individual parts accordingly. Another thing that becomes clear by this point is Yarwood’s emphasis on melody within his vocal lines. His influences clearly lie in the 1990’s California pop punk scene and each track is hopelessly catchy. His lyrics have a very no-nonsense quality about them and aren’t overly wordy, which gives a bit more leeway to the melody. Throughout the course of the EP, he consistently demonstrates that we’re never more than a few bars away from a catchy hook. 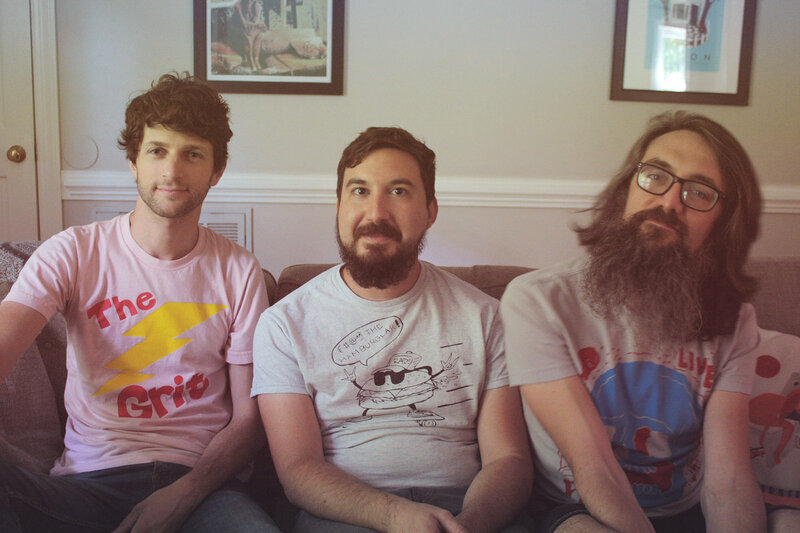 Next to you’ rounds things off with an upbeat and introspective pop-punk track that I’m sure would earn the full approval of both Brian Wilson and Rivers Cuomo. The track is based around a lullaby-like melody, first introduced on clean guitar and expertly passed through synth, bass and overdriven guitar over the course of the track. It became somewhat of a personal mission to try and keep track of the riff and it serves as a great little reference point. Lyrically, the opening line ‘You’ve never been in my dreams/as much as I try to make that happen’ gives further insight into Yarwood’s lyrical style. Whilst many of the lyrics may seem like simple throwaway comments, they often carry a huge amount of weight and you can’t quite understand why you relate to it so much once you’ve sang it back to yourself. The highlight of this track is the mid-way dropout point, stripping things right back to palm muted guitar, vocals and snare drum. This begins to build up by introducing bass and canon backing vocals, showcasing a great Beach Boys influence and building up to the succeeding instrumental section with full force. 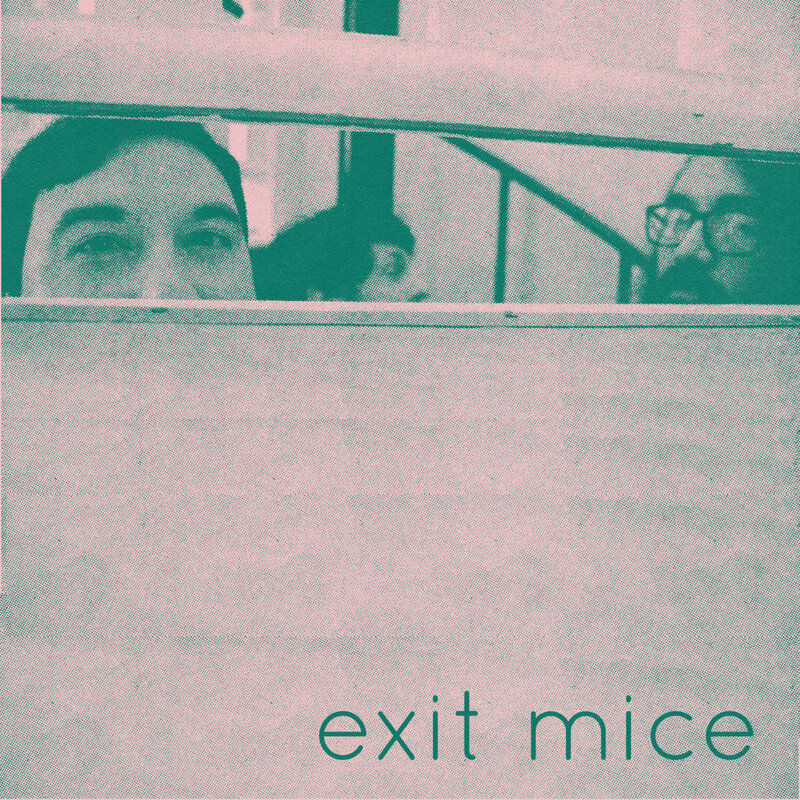 Overall, the debut effort from the newly-formed Exit Mice showcases a set of classic 90’s-sounding punk rock anthems performed by a trio of talented musicians. They’ve got great chemistry between them and very good attention to detail, with a clear understanding of their genre as well as the requirements of each track. Gruet and Sebastian keep their parts innovative and functional throughout, whilst Yarwood showcases an incredibly catchy songwriting style with some impressive guitar accompaniment. They adhere to the power trio format very well, making use of their individual tones as well as the use of synth and backing vocals to help fill out some of the mid-range. The material is also very well recorded and produced given the fact it was originally demo material recorded in a basement. Highly recommend for anybody intent on remaining in the 1990’s forever.